Your Home in the Woods Bed & Breakfast is the culmination of a long held dream to have a home in the mountains we can share with friends, both old and new. We have been open since 2003. Bonnie grew up on a farm in Maine, learning country cooking from her mother. She held many jobs, ranging from maintenance in Rich’s department store to owner and provider of child care for infants. She brings her love of people, and her handiwork and gardening talents to the bed & breakfast. Paul was a teacher and administrator for 48 years before retiring in 2016. He thoroughly enjoyed working with students and parents. He led many student and adult camping trips to wilderness areas in Georgia, teaching about ecology and cooking gourmet meals in the out-of-doors. 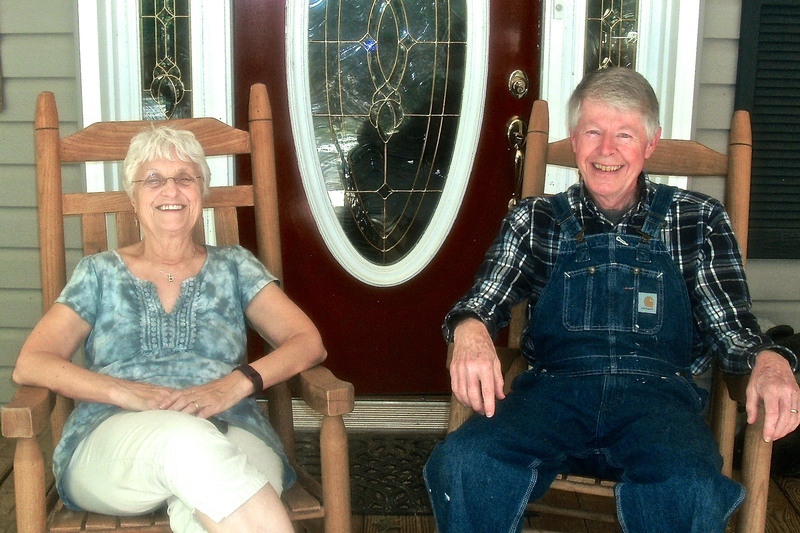 He brings his enjoyment of cooking and his woodworking skills to the bed & breakfast.